A dictionary is an almost universally overlooked fundamental in learning, yet its full use is priceless. 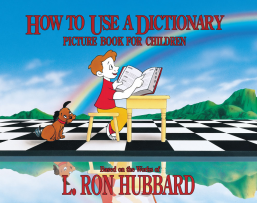 Through pictures and words, this book and its course teaches children how to use a dictionary, providing them with an invaluable tool for comprehension and the means to a powerful vocabulary. 3rd-grade reading level and above. Fully illustrated.